DIGOS CITY, Davao del Sur - Fourteen (14) former members of New People’s Army (NPA) who surrendered to 73rd Infantry Battalion (73IB) received a total of ₱700,000.00 livelihood assistance from the Comprehensive Local Integration Program (CLIP) awarded by the provincial government of Davao del Sur during the flag raising ceremony held at Provincial Coliseum, Davao del Sur on January 9, 2017. In a simple awarding ceremony, Hon Douglas Cagas, Governor of Davao del Sur and Chairman of CLIP Committee, Provincial Director Remedios Baldovino of DILG, Department of Social and Welfare Development Office Officer Geraldine Lano, Lt. Col. Allan Odal, 1002nd Brigade Executive Officer and Lt. Col. Ronnie B Babac Commander 73IB, handed-in the check of livelihood assistance worth ₱50,000.00 each to the thirteen (13) former rebels. 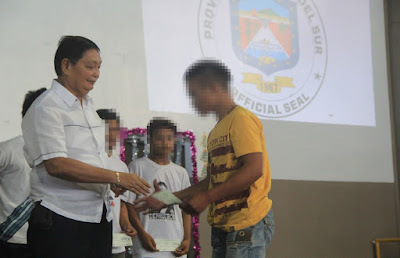 A month ago, twenty four (24) former rebels surrendered to 73IB received a total of ₱305,000.00 from the immediate assistance of the Comprehensive Local Integration Program (CLIP) and Provincial Assistance from the Province of Davao del Sur; thirteen (13) former rebels received ₱15,000.00 each from the CLIP immediate assistance and eleven (11) former rebels received ₱10,000.00 each from Davao del Sur provincial assistance. 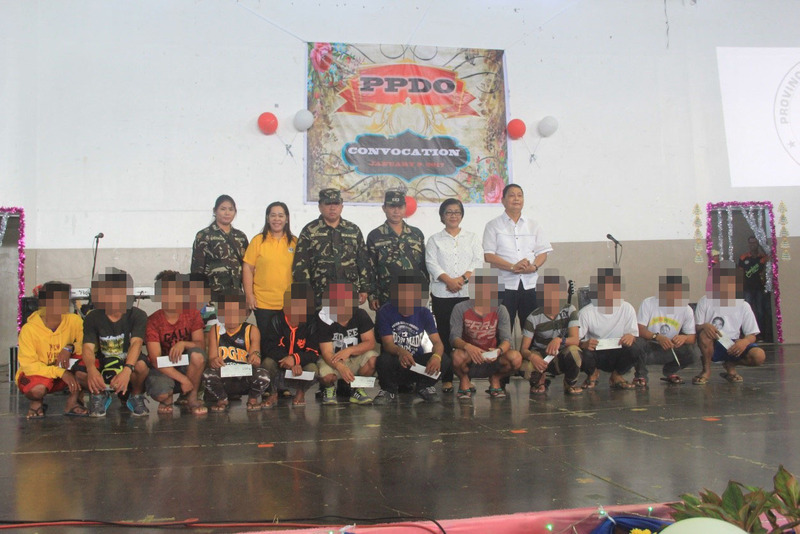 Based on records, a total of 106 former rebels from Davao del Sur, Davao Occidental and Sarangani Province already surrendered to 73IB since last year; 75 of which already received immediate and livelihood assistance worth ₱65,000.00 each with sum amount of ₱4,875,000.00, the rest are under process and others do not qualify to the requirements of the program. Another ₱1,300,000.00 CLIP assistance was also awarded last year to the twenty (20) former rebels surrendered to the unit from 2013-2014. CLIP is a national program of the government that seeks to contribute toward achieving the goal of permanent and peaceful closure of armed conflicts and non-state armed groups, particularly the NPA’s. “The livelihood assistance awarded to the former rebels (FRs) is a successfulcollaborative effort of the provincial government, PNP-Davao del Sur and 73IB in support to the unit’smission and government’s effort of permanent and peaceful closure of all armed conflict in the country” Lt. Col. Babac said.